Available from our Collingwood store now. "Passion is a word often used when one refers to the making of quality fresh pasta. But how often can one honestly say they could taste the passion in the pasta they have purchased? Pasta passion is reflected in the artisan's desire to create exciting new flavours and shapes, yet at the same time respecting those flavours and shapes made famous by our pasta-making forefathers. 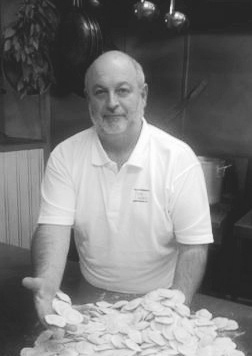 The family of pasta makers at Pasta Classica is passionate and devoted to a life of gourmet fresh pasta artistry using only natural fresh produce."